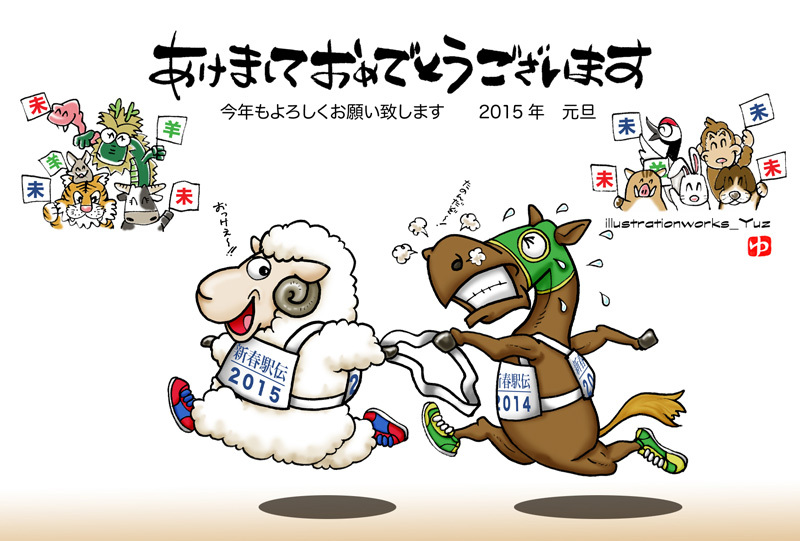 It’s now the year 平成二十一年 (Heisei 21 (2009))…丑年 (Year Of The Cow / Ox). 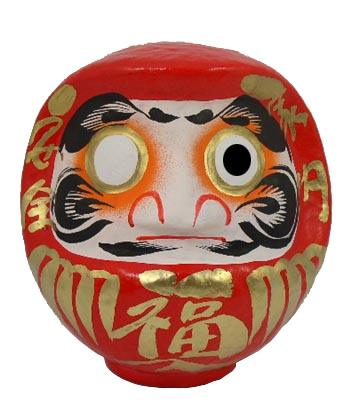 (Click here to read my FAQ about お正月 (Japanese New Years)). 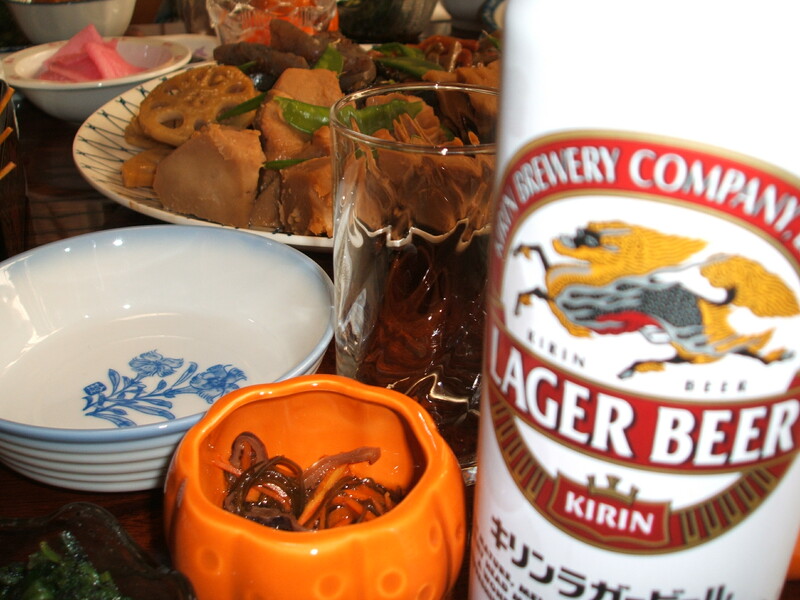 Today, as we usually do at お正月 (New Years), we went to my inlaws’ for dinner. And, as usual, my wife’s grandmother (who’s 94 years old now! ), her aunt and uncle, and her brothers and sister (and their spouses and kids) all came too. A total of twenty people! So there was lots of family and lots of great food. 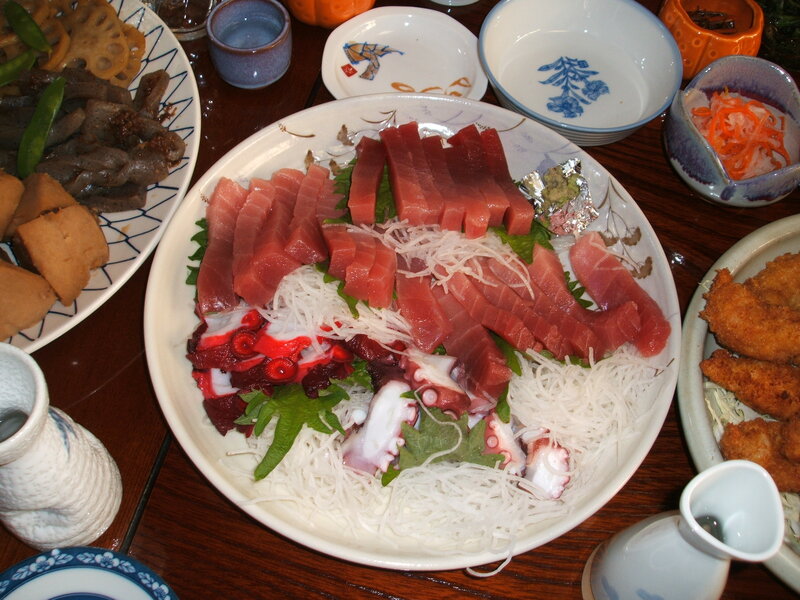 刺身 (Sashimi), 海老フライ (fried shrimp), 御節料理 (traditional Japanese New Years foods), 日本酒 (Japanese sake rice wine), beer, and wine. Besides getting together with family and eating a traditional New Years meal…at お正月 (New Years), many Japanese people go to a shrine for New Years blessings (and traditional New Years lucky ornaments (such as Daruma), go to the Imperial Palace to hear the Emperor’s New Year message (the public is allowed inside the Palace grounds only twice a year: お正月 (New Years) and 天皇誕生日 (the Emperor’s birthday)), or go shopping (many stores have New Years sales…and 福袋 (Lucky Bag)). 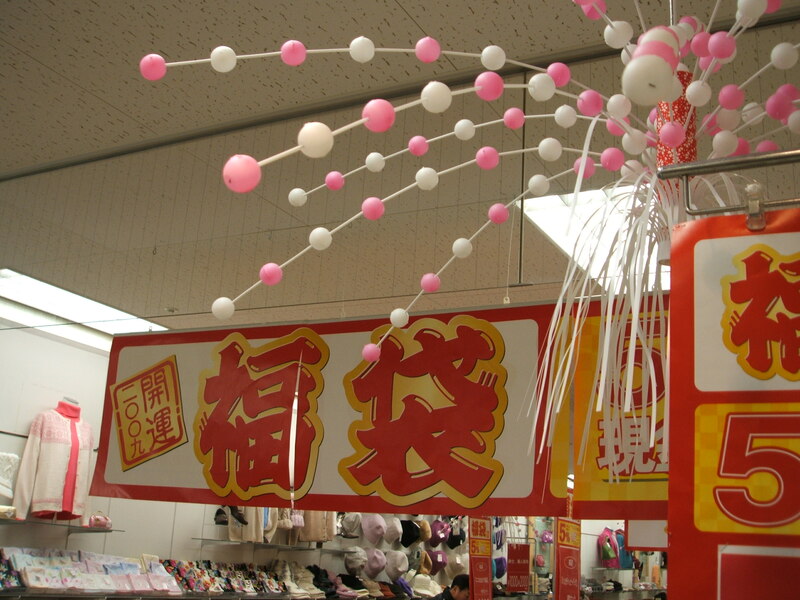 (Click here to read my other recent post about お正月 (Japanese New Years), in that post I explain some of the Japanese New Year particulars…including 福袋 (Lucky Bag)). It’s now 11:50PM on December 31, 2008 (Japan Standard Time (JST)). Shortly, it’ll be 2009. In late December, Japanese people say よいお年を (Yoi-otoshi-o) for “Happy New Year”…then January 1-3, it’s 明けましておめでとうございます (Akemashite-omedetou-gozaimasu). 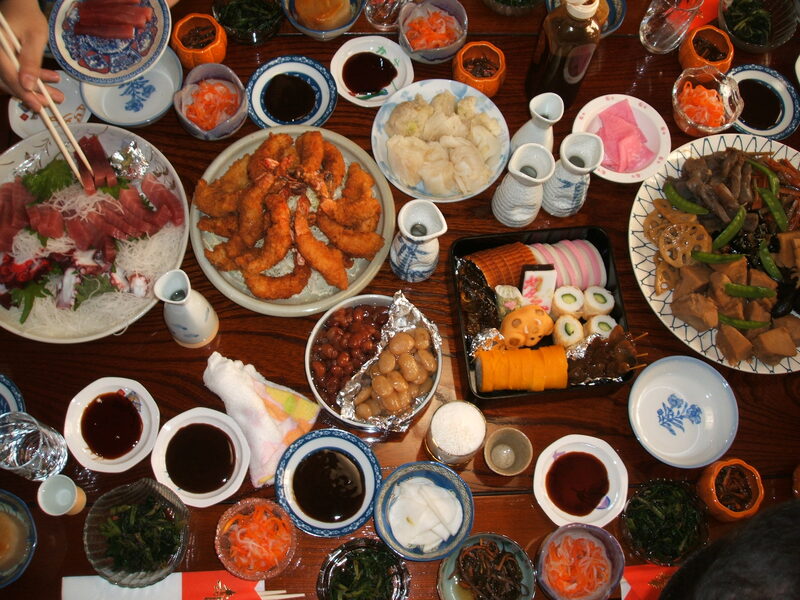 As I’ve mentioned before (click here), お正月 (New Years) is the biggest holiday in Japan. Today is 大晦日 (New Years Eve). On 大晦日 (New Years Eve) in Japan, many people eat 年越しそば (New Year’s noodles) and at midnight go to a temple for the Buddhist tradition of the temple priest’s ringing the temple bell 108 times. Alot of people (including us this 大晦日 (New Years Eve)), watch one of the popular 大晦日 (New Years Eve) TV shows. Most people watch 紅白歌合戦 (Red And White Team Music Battle)…but my kids wanted to watch ダウンタウンのガキの使いやあらへんで！！ (Downtown’s No Job For Kids!! )…it’s a crazy comedy variety program. 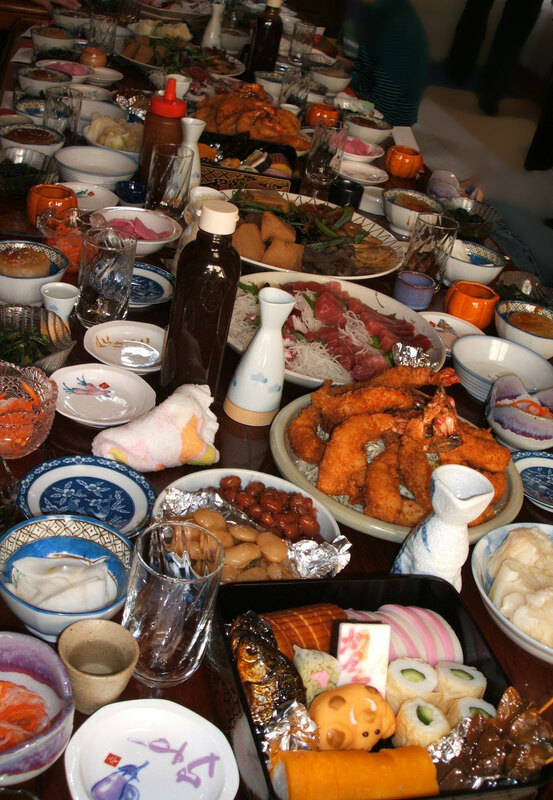 Tomorrow we’ll go to my in-laws (many of my wife’s relatives will come too) and we’ll have a big, traditional Japanese New Years dinner. 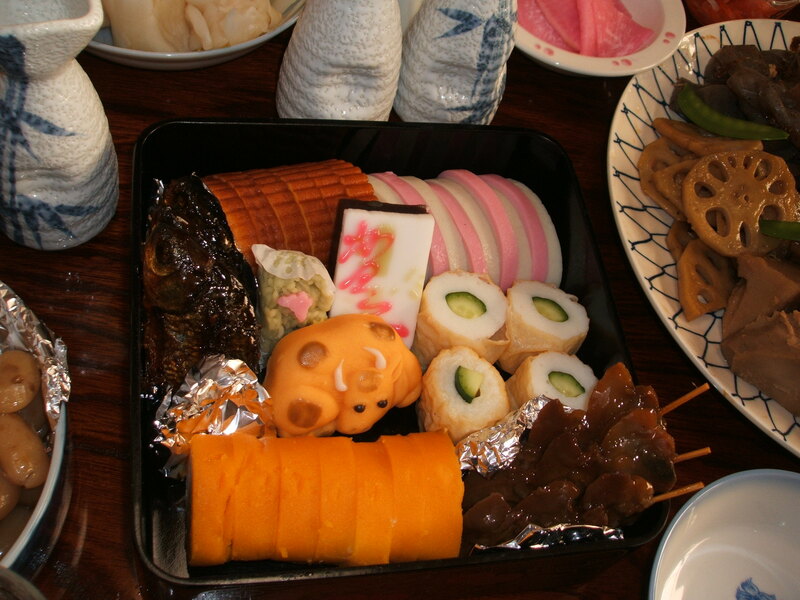 My kids will get お年玉 (New Years Gift Money)…and we’ll give my kids’ cousins お年玉 (New Years Gift Money) too. Oh, look at the time…5…4…3…2…1…明けましておめでとうございます (Happy New Year)!